Residents in Mkhancwa informal settlement are trying to rebuild their homes after a shack fire. Ten shacks burnt to the ground on Saturday evening, allegedly after someone left a primus stove unattended. 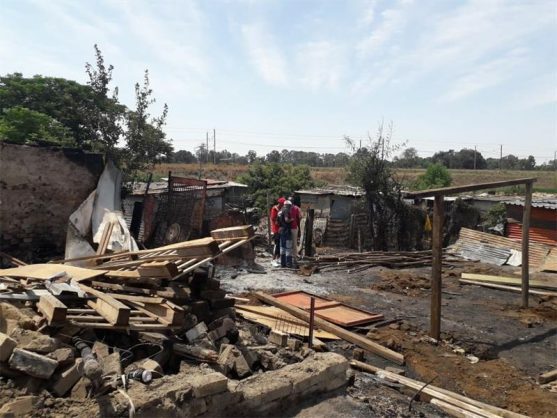 Residents of Mkhancwa informal settlement in Springs are trying to rebuild their lives after 10 shacks burnt to the ground on Saturday evening, reports African Reporter. It is alleged that one of the residents left a primus stove in a shack unattended and a fire started. Within minutes, it spread to other shacks nearby. Ward 74 committee member Tozana Qethuka said it was alleged the residents of the shack where the fire started were cooking on a paraffin primus stove. “The man decided to go to the nearby store, leaving the stove unattended. Upon his return, he found the shack on fire. The heavy winds contributed heavily to the fire spreading to neighbouring shacks. The residents tried to put out the fire but it was too much to contain, we were only able to stop it from spreading to the other homes,” she said. 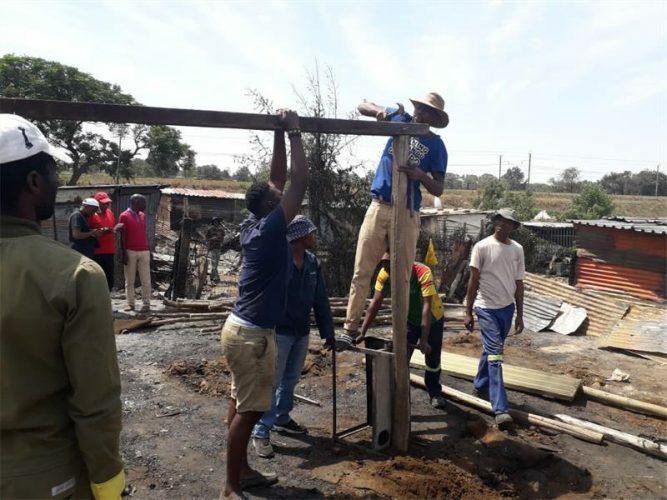 Ward 74 councillor Thulane Simelane said they tried to rebuild some of the damaged shacks on Sunday with the help of volunteers. Volunteers from Mkhancwa informal settlement help rebuild shacks. “Local residents donated second-hand building materials of which we were able to build a one-room shack for each affected household. Simelane urged residents who are interested in helping the affected families to come forward. “The affected families lost all their belongings in the fire. If you have blankets, clothes, building material, or even furniture that you can donate, please do so,” he said.